It's as easy to see why radio listeners loved Toto as it is to see why critics hated them. Toto's rock-studio chops allowed them to play any current pop style at the drop of a hi-hat: one minute prog rock, the next hard rock, the next funky R&B. It all sounded great, but it also implied that music-making took craft rather than inspiration and that the musical barriers critics like to erect were arbitrary. Then, too, Toto's timing couldn't have been much worse. They rode in during the middle of punk/new wave with its D.I.Y. aesthetic, and their sheer competence was an affront. 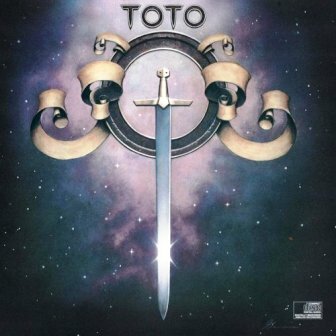 Of course, there's always been an alternate history of popular music not available to rock critics (it's written in record stores and concert halls and on the radio), and in that story, Toto was a smash. Singles like "I'll Supply the Love" and "Georgy Porgy" (featuring Cheryl Lynn) made the charts, and "Hold the Line" hit the Top Ten and went gold. The members of Toto had already influenced the course of '70s popular music by playing on half the albums that came out of L.A. All they were doing with this album was going public. — William Ruhlmann.